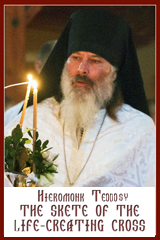 During the month of September, the Eparchy of Edmonton conducts its annual Vocations and Seminary Collection. “It takes a whole village to raise a child.” It likewise takes the support of the whole Church to form a deacon, priest, religious, monastic and lay member for ministry in the Church. It also takes our support to offer on-going education and formation for those already in sacred orders or involved in lay ministry. The faithful can acknowledge the role they play in nurturing vocations by offering their financial support to help defray such expenses as formation programs, retreats, conferences, seminars, tuition, books, and room and board. The collection supports Holy Spirit Seminary, Ottawa; the Basilian House of Studies, Edmonton; the Sisters Servants of Mary Immaculate Novitiate, Winnipeg; Clergy Study Days; and the Eparchial Diaconal and Lay Ministry Formation Programs; The collection also assists the Metropolitan Andrey Sheptytsky Institute of Eastern Christian Studies, Ottawa, which serves the Ukrainian Catholic Church in Canada by providing academic and spiritual formation for our future Church leaders. Studying at Holy Spirit Seminary this year are Mike Bombak, Cyril Kennedy, Andrij Nykyforuk, and Tobias Underwood. In Novitiate with the Sisters Servants of Mary Immaculate is Emily Schietzsch. The suggested donation amount is $20.00 per family. The 2012 Synod of Bishops will be held in Winnipeg from September 8-15 in honour of the 100th Anniversary of the Appointment of Bishop-martyr Nykyta Budka as the First Ukrainian Catholic Bishop of Canada. 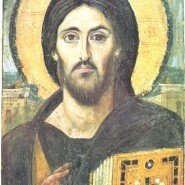 His Beatitude Sviatoslav issued a Pastoral Greeting to mark the occasion. His Beatitude Patriarch Sviatoslav issued a Pastoral Letter on Catechetical Faith and Daily Prayers in the Ukrainian Catholic Church. The letter is directed at standardizing Ukrainian translations of certain prayers (for example, daily prayers, “Our Father,” “Hail Mary,” Psalm 50, the Creed, Prayer of Saint Ephrem, etc. ), catechetical faith (Ten Commandments, Gifts of the Holy Spirit, Beatitudes, fast and privileged periods, sins, Christian greetings), and The Ethical Code of Social Responsibility. Bishop David appointed Rev. Daniel Wach, osbm, as Dean of the Vegreville Presbyterate, and member of the Presbyteral Council and College of Consultors. Father Thomas Rosica, csb, recently published by the weekly English-language edition of the Osservatore romano to mark the 10th anniversary of World Youth Day in Toronto. Held July 23-28, 2002, this remains the single largest religious event to date in Canadian history. Through the prayers of Blessed Nykyta (Budka), Bishop and Martyr… will have mercy and save us, for He is good and loves mankind. Amen. Молитвами блаженного священномученика Микити (Будки)… помилує й спасе нас, як благий й чоловіколюбець. Амінь.